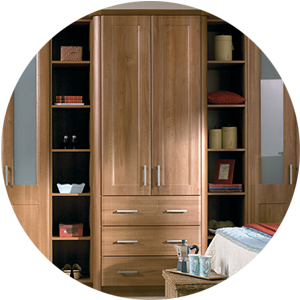 Since 1996, Hennessy Fitted Furniture is working in Longford, our sole desire was to provide bespoke furniture and kitchens without any compromise on quality and craftsmanship. We bring you the flexibility of a service at your doorstep. Our services are tailor-made to suit customer-needs and deliver it in the budget-specifications of every client. Our expert professional service is meant to get you the best of results with utmost care and attention to every minute detailing. Customer satisfaction has always been our topmost priority. We ensure that the best quality materials are used for every service requirement. Furniture is usually crafted completely accosted design, every time we take up a project.